An independent agency of the federal government, the Federal Communications Commission (FCC) oversees the television, radio and telephone industries in the United States. The FCC’s key responsibilities range from issuing operating licenses for radio and TV stations to maintaining decency standards designed to protect the public good. The commission is led by a five-member partisan board consisting of Republican and Democratic nominees selected by the President. 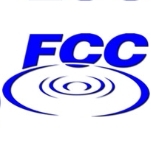 When Congress passed the Communications Act of 1934 (pdf), it abolished the Federal Radio Commission (FRC) and transferred jurisdiction over radio licensing to a new Federal Communications Commission (FCC), which took over the operations and precedents of the FRC. Concerned over the growing power of large corporations and conglomerates, the administration of President Franklin Roosevelt wanted the FCC to make sure the country’s budding mass communications systems did not fall into the hands of a select few. In 1940 the FCC injected itself into the business affairs of the radio industry by issuing the “Report on Chain Broadcasting” and ordering the breakup of the National Broadcasting Company (NBC), which ultimately led to the creation of the American Broadcasting Company (ABC). The FCC also established precedents for how much air time networks could demand of affiliate stations and the time of day that network broadcasting could air. Previously a network could demand any time it wanted from an affiliate. The commission also did away with networks’ ability to serve as both agents and employees of artists who performed for radio programs on grounds that the situation posed a conflict of interest. With the advent of television in the 1940s, the FCC became an important player in the development of this new medium. The commission issued licenses for new television stations to begin broadcasting—a responsibility that didn’t always go smoothly. After the end of World War II, the FCC assigned television stations to various cities and inadvertently placed many stations too close to each other, resulting in signal interference. The FCC also helped shape the manner in which television stations delivered their signals, either through very high frequency (VHF) or ultra high frequency (UHF). Many earlier TV stations utilized VHF channels 2 through 13, but the commission soon realized that VHF alone was inadequate for nationwide television service. As a result, the FCC encouraged the licensing of stations that used UHF signals. In some cases, commissioners forced channels to switch from one frequency to another or ordered certain VHF channels off the air in smaller markets, like Peoria, Fresno, and Bakersfield, to create markets that were UHF “islands.” The development of color television was another important milestone that the FCC had to address, as was the newly emerging field of educational television, for which the commission established rules protecting its foothold in television markets against commercially driven programming. The election of Ronald Reagan as president in 1981 accelerated an already on-going shift in the FCC towards a decidedly more market-oriented stance. A number of regulations felt to be outdated were removed, most controversially the Fairness Doctrine in 1987. Critics said the Fairness Doctrine did not extend to expanding communications technologies, and that the doctrine was limiting public debate. Originally introduced in 1949, the Fairness Doctrine (also known as the Report on Editorializing by Broadcast Licensees) was applied on a case-by-case basis until 1967 when certain parts of the doctrine became part of the FCC’s regulations. The Fairness Doctrine required broadcast licensees to present issues of public importance, no matter how controversial, in a fair, balanced, and equitable manner. It was meant to diminish personal attacks and ensured equal time to respond to assertions made on air. FCC Chairman Mark S. Fowler began to repeal parts of the Fairness Doctrine in 1987, attempting to restore First Amendment rights he felt had been stripped away. This increased competition among broadcasters and paved the way for alternatives, such as cable television. The Telecommunications Act of 1996 followed the Justice Department’s antitrust suit against AT&T, which forced the company to break into smaller “Baby Bells.” The legislation tried to create more competition among local phone service providers by requiring Local Exchange Carriers to provide access to their facilities. It outlined regulations on obscene programming and removed many of the regulations limiting media ownership. This allowed greater consolidation among carriers and led to the development of the Internet, cable and wireless services. During the administration of President George W. Bush, the FCC shifted its focus to matters of obscenity and indecency, especially following Janet Jackson’s “wardrobe malfunction” during a Super Bowl halftime show in January 2004. President Bush signed the Broadcast Decency Enforcement Act of 2005, which stiffened penalties for each violation of FCC rules, up to $325,000. Although the FCC does not regulate the Internet, or Internet Service Providers, it has been instrumental in advancing VoIP (Voice over Internet Protocol) technology, which allows callers to make and receive calls using a broadband Internet connection instead of an analog phone line. In 2005, the FCC imposed 911 obligations on VoIP service providers, including the requirement that users had to be able to make and receive calls from the regular telephone network. This arose after some VoIP users had trouble reaching the 911 emergency network. VoIP service providers are also required to comply with the Communications Assistance for Law Enforcement Act of 1994 (CALEA) and to support the Universal Service Fund, which supports assistance for income-eligible telephone subscribers. In December 2007, the FCC approved rules that set new parameters on the size of the largest news and cable companies. One rule stipulated that no one cable company can control more than 30% of the market. The second rule moved toward industry deregulation by relaxing newspaper/broadcast cross ownership regulations. With newspapers suffering from diminished ad revenue due to Internet competition, the new rule provided more leeway for newspapers to purchase TV and radio stations in the nation’s top 20 markets. In 2008, the Senate voted to rescind the rule. In 2009, with support of the Obama administration, the FCC proposed “net neutrality” rules designed to enforce mandates on Internet Service Providers (ISPs) and wireless carriers to prevent discrimination against applications and content, ensuring equal treatment of all Internet traffic. The rules were fine-tuned in December 2010. In April 2011, House Republicans passed a bill to repeal the rules, and federal courts are hearing several legal challenges. In July 2010, a federal appeals court struck down the FCC’s “indecency policy” that levied fines against TV networks whose programs including “fleeting expletives.” The ruling stated that the FCC rule was “unconstitutionally vague” and had “a chilling effect” on broadcast content. In May 2011, the FCC launched a study into the controversy over the alleged “location tracking” capability of so-called smart phones, whereby popularly used cell phones—such as Apple’s iPhone—have been discovered to be storing location data for up to a year, even when location software was not in use. Leading the FCC are five commissioners appointed by the President and confirmed by the Senate for five-year terms. The President designates one of the commissioners to serve as chairperson. Only three commissioners may be members of the same political party, and none of them can have a financial interest in any commission-related business. Consumer & Governmental Affairs (CGB) oversees the FCC’s consumer policies, including disability access. It handles outreach and education through its Consumer Center, which responds to consumer questions and complaints. CGB also collaborates with state, local and tribal governments to ensure emergency preparedness. Enforcement Bureau is responsible for enforcing the provisions of the Communications Act of 1934, as well as FCC rules, orders, terms and conditions of station authorizations. This bureau helps to foster local competition and consumer protection, public safety and homeland security. International Bureau (IB) helps to develop international telecommunications policy on issues such as allocation of frequencies and minimizing electromagnetic interference. IB is responsible for maintaining FCC compliance with the International Radio Regulations and other international agreements. Media Bureau develops and implements policy and licensing programs relating to electronic media, such as cable television, broadcast television and radio. Post-licensing for direct broadcast satellite services also falls within its purview. Wireless Telecommunications Bureau is responsible for all FCC wireless telecommunications programs, policies and outreach programs. These services include amateur radio, cellular networks, pagers, personal Communications Service, Part 27 Wireless Communications Services and fixed, mobile and broadcast services in the 700 MHz band. Wireline Competition Bureau (WCB) assists in policy development for wireline telecommunications (broadband) to promote growth and investments in infrastructure, development, markets and services. Public Safety and Homeland Security Bureau develops and implements communications for use during emergencies and crises. In the wake of Hurricane Katrina, this bureau was added to make sure public safety, health, defense and emergency personnel, and consumers can communicate during times of greatest need. Office of Administrative Law Judges conducts hearings ordered by the commission. The hearing function includes acting on interlocutory requests filed in the proceedings, such as petitions to intervene, petitions to enlarge issues and contested discovery requests. An administrative law judge, appointed under the Administrative Procedure Act, presides at the hearing during which documents and sworn testimony are received in evidence and witnesses are cross-examined. At the conclusion of the evidentiary phase of a proceeding, the presiding judge writes and issues an Initial Decision, which may be appealed to the commission. Office of Communications Business Opportunities (OCBO) promotes telecommunications business opportunities for small, minority-owned and women-owned businesses. OCBO works with entrepreneurs, industry, public interest organizations, individuals and others to provide information about FCC policies, increase ownership and employment opportunities, foster a diversity of voices and viewpoints over the airwaves, and encourage participation in FCC proceedings. Office of Engineering and Technology (OET) advises the FCC concerning engineering matters. Its chief role is to manage the electromagnetic spectrum, specifically frequency allocation and spectrum usage. OET conducts technical studies of advanced phases of terrestrial and space communications and administers FCC rules regarding radio devices, experimental radio services and industrial, scientific and medical equipment. OET also organizes the Technical Advisory Council, a committee of FCC advisors from major telecommunication and media corporations. In addition, the office operates the Equipment Authorization Branch, which is tasked with overseeing equipment authorization for all devices using the electromagnetic energy from 9 kHz to 300 GHz. OET maintains an electronic database of all certified equipment that can be easily accessed by the public. Office of General Counsel serves as the FCC’s chief legal adviser. The general counsel also represents the commission in litigation in federal courts, recommends decisions in adjudicatory matters before the commission, assists the commission in its decision making capacity and performs a variety of legal functions regarding internal and other administrative matters. Office of the Inspector General (OIG) recommends policies to prevent fraud in agency operations. The inspector general recommends corrective action where appropriate, referring criminal matters to the Department of Justice for potential prosecution. Office of Legislative Affairs (OLA) is the FCC’s liaison to Congress, providing lawmakers with information about FCC regulations. OLA also prepares FCC witnesses for congressional hearings and helps create FCC responses to legislative proposals and congressional inquiries. In addition, OLA is a liaison to other federal agencies as well as state and local governments. Office of the Managing Director is responsible for the administration and management of the FCC, including the agency’s budget, personnel, security, contracts and publications. Office of Media Relations disseminates FCC announcements, orders, proceedings and other information per media requests. The office manages the FCC Daily Digest, web site and Audio Visual Center. Office of Strategic Planning & Policy Analysis (OSP) is the FCC’s think tank that identifies policy objectives for the agency. It works closely with the FCC chairman and is responsible for monitoring the state of the communications industry to identify trends, issues and overall industry health. The office acts as expert consultants to the commission in areas of economic, business and market analysis. It also reviews legal trends and developments not necessarily related to current FCC proceedings, such as intellectual property law, the Internet, and electronic commerce. Office of Workplace Diversity develops policy to provide a full and fair opportunity for all employees, regardless of non-merit factors such as race, religion, gender, color, age, disability, sexual orientation, or national origin. The Federal Communications Commission (FCC) spent $647.5 million on 6,813 contractor transactions during the past decade. According to USASpending.gov, the FCC paid for a variety of services in support of its mandate, from automated information system design ($95.6 million) to systems engineering ($80.8 million) and ADP systems development ($53.3 million). Computech, the FCC’s largest contractor over the last decade, is responsible for helping the FCC develop and implement Automated Auction Systems (AAS), which helped to choose licensees for electromagnetic spectrum awards. The FCC had previously relied on hearings and lotteries to select single licensees. But with AAS, the FCC used simultaneous competitive bidding and generated revenue for the U.S. Treasury. Users dialed in to a call center and used FCC software to place bids. As Internet use became more prevalent, this system was redone as a web application called the Integrated Spectrum Auction System (ISAS) and has resulted in more than 55,000 spectrum licenses, valued in excess of $50 billion. A former Federal Communications Commission (FCC) lawyer accused the commission of destroying a draft study that conflicted with the FCC’s earlier attempt to liberalize media ownership. The 2004 study reportedly showed that greater concentration of media ownership would hurt local TV news coverage. The analysis showed local ownership of television stations added almost five and one-half minutes of total news to broadcasts and more than three minutes of “on-location” news. The conclusion was at odds with FCC arguments made when it voted in 2003 to increase the number of television stations a company could own in a single market. Sen. Barbara Boxer (D-California) was dismayed when she heard the news of the report and sent a letter to the FCC demanding to know what happened. Then-FCC Chairman Kevin Martin, who was on the commission at the time that the report was written, said he knew nothing about it, nor did his staff. Following the 2006 revelation that some of the largest phone companies in the United States had helped the Bush administration collect phone records illegally, the FCC was asked to look into the matter. The FCC’s response: No can do. Citing the secretive nature of the National Security Agency, then-FCC Chairman Kevin Martin said, “The classified nature of the NSA’s activities make us unable to investigate the alleged violations” of privacy. Congressional Democrats were outraged by the commission’s unwillingness to get involved. Martin served on Bush’s election campaign and worked in the White House before joining the FCC. Unlike those who want to reshape FCC policies, some have argued that it’s time to just eliminate the commission altogether. CNET political correspondent Declan McCullagh argues that the FCC has failed time and time again to do the right thing and that it has outlived its usefulness. It may not be the catchiest of expressions, but “net neutrality” represents one of the most important issues affecting the Internet and communications in the 21st century. What it comes down to is whether the government can and should tell Internet service providers (ISPs) to charge all customers, big and small alike, the same amount of money, regardless of how much bandwidth they consume. So far, the Federal Communications Commission has been unable to impose net neutrality on ISPs. When it did try, Comcast went to court and won its case. The court said the FCC lacked the authority to tell telecoms how to run their operations. Those in favor of net neutrality want the FCC to force ISPs, especially large ones like AT&T, Verizon, Comcast, and Time Warner, to not charge different rates based on the size of the content (such as video) being sent over the Internet. Advocates argue that net neutrality is about equal access to the Web, and that service providers should not be permitted to discriminate against competitors or content. Opponents of net neutrality want a two-tiered system that would allow ISPs, including broadband providers, to charge a fee for faster service. They argue it is a fundamental part of doing business, that if you want better service for something, you have to pay more than for the basic standard. Charging more is essential, given the impact that video, image, and audio files have on Web communications, critics of net neutrality say. The FCC in 2003 approved controversial new rules allowing large media companies to expand their ownership of television and radio stations. The Republican-led commission, with Michael Powell at the helm, voted 3-2 to allow broadcast networks to own television stations that reach a combined 45% of the national audience, up from 35%. The FCC also voted to lift a ban that prevented a company from owning both a newspaper and a television or radio station, except in the smallest markets. Democrats on the FCC board and Capitol Hill objected to the changes, as did consumer groups and some traditionally conservative voices. The Prometheus Radio Project, a low-power FM advocacy group, filed a lawsuit to stop the new rules from taking effect. The group was supported by a coalition of media reform organizations. The Third Circuit Court of Appeals ruled in favor of the Prometheus Radio Project’s motion to stay the FCC rules, arguing that the changes were not in the public interest. Also, Republicans and Democrats joined together in the U.S. Senate on a 55-40 vote to overturn the revised TV/newspaper cross ownership rule and the rule expanding a company's national TV household reach from 35% to 45%. Following the backlash by the courts and the Senate, the FCC, under the leadership of Kevin Martin, declared it would continue to study the issue and possibly revive it at a later time. In December 2007, the FCC approved another set of rules to allow greater cross ownership of media sources. One rule stipulated that no one cable company can control more than 30% of the market. The second rule moved toward industry deregulation by relaxing newspaper/broadcast cross ownership regulations. With newspapers suffering from diminished ad revenue due to Internet competition, the new rule provided more leeway for newspapers to purchase TV and radio stations in the nation’s top 20 markets. In 2008, the Senate voted to rescind the rule. Backed by television networks and large media companies, the FCC’s Republican appointees argued that the current FCC rules were “out-of-date relics” from a bygone era when most people had access to only three major networks and a handful of independent or public television stations. Today, with about 119 million households having access to dozens of channels with cable or satellite television service, not to mention access to the Internet, the media playing field is so broad that the proposed changes would not have the adverse effects that critics claimed. With so many TV, radio, and Web outlets, there would still be a great deal of media diversity to allow consumers to access a broad range of options and perspectives. Furthermore, major broadcast networks argued that their businesses were only marginally profitable at best and that in order to compete with cable networks, they needed to own more of the profitable affiliates that carry their programming. Critics of the changes argued that they would stifle different voices from being heard on American airwaves. They point to the consolidation of ownership of radio stations after rules on ownership in that sector were modified as an example of what will happen under the new rules. Children Now argued that greater media concentration would have a serious negative impact on the availability and diversity of children’s programming. In the 24 years since the FCC did away with the Fairness Doctrine, some FCC watchers have called for new regulations by federal regulators to encourage more local programming on television stations. In December 2007, the FCC proposed new rules that could force broadcasters to offer more information on local content to win license renewals from the commission. New requirements include a minimum amount of local programming, maintaining a physical presence at each station and setting up permanent advisory boards for each renewal license. Unlike the debate over media concentration, those supporting the FCC’s rules governing localism come from the left or non-partisan ranks, such as The Campaign Legal Center, Common Cause, the Benton Foundation, New America Foundation, Media Access Project, United Church of Christ and the US Conference of Catholic Bishops. They have supported the FCC requirements that would require closer evaluation of local content. Some also have urged the FCC to require broadcasters to disclose information regarding political advertisers and advertisement purchases on the Web. Also opposing the plan are Grover Norquist’s Americans for Tax Reform, the Christian Coalition of America and Citizens United. “Imposing rules that would require broadcasters to provide a certain amount of programming produced locally, as well as to establish politically correct advisory boards to assist with determining programming content and to fill out all kinds of burdensome paperwork for government regulators to police, is bad public policy,” they wrote. Supporters of conservative talk radio, especially Rush Limbaugh, have decried the localism effort as a scheme that could threaten such voices from being aired. My cable Xfinity/Comcast provider entered me into a 12 months agreement double preferred package, but they never informed me,. I am in Florida for 5 months and a half and going back to Canada.I never asked for a 12 months term agreement because I am here only for five and half months. They want to charge me a fees of $10/month for the rest of the agreement. They never informed us so I think that they want to take advantage of us with their policy . Last November2018, we asked them to have the same as the previous years. For the last 8 years it was not like that , it's not fair, my account Xfinity/Comcast number is 8495753811670057.
these cable company keep raising the prices on my bill and I have not added anything to increase my charges , I watch one movie which was $3.00 and they jumps my bill to $1300.00 and would not correct it told me i had to pay and they would give me credit on next bill, i am 80 years old on a fixed income get lest than $1000.00 per month so I got another provider who is also raising prices from what was quoted charge would be by $10.00 when I question the change another amount of more charges and increase of over $100.00. it like don't ask us anything just except what you get old woman. so if you can help please help. My cable provider entered me into a 24 month agreement double preferred package. I have had the same modem since 2015 rental at 11.00 a month.They went up to 13.00 recently and i ask why. They say because they can. By Louisiana consumer laws that modem is paid for awhile ago. They also after the package sold they are now claiming they can remove channels to premier when that package has everything. Recieved that letter from xfinity in past week. These companies are shiasters. Need help in dealing with them. I subscribe to cox cable but I only have internet and phone service. I recently down loaded TNT app to watch shows from that channel and I got a message saying that I needed to contact my provider.I called cox and was told Wasn't able to watch because it's a network that I should pay for.WTF. Are they allowed to prevent me from seeking other means of entertainment the is free? I subscribe to Spectrum internet service. Is it legal for them to limit what I am allowed to stream to my home? They are blocking apps that allow me to watch basic tv channels. Am I assuming or is it law that basic tv channels are available free with the use of a digital antenna? Spectrum has informed me that I must buy access to the basic channels on top of paying for internet service. I purchased a digital antenna that has a radius of 50 miles which would include all basic channels (ABC,CBS,NBC, etc.) but none of them are receivable. What is an appropriate fix action for this problem or who should I contact to help with this situation? I live in a rural area, I was told by At&t that I cannot get internet because I live in an area blocked by the FCC. I work from home and I need a faster internet provider, this is a new move for me and this is really effecting my life. What can be done? The revolving door between big business and government is spinning again. Despite his promise during the 2008 campaign that lobbyists would take a back seat in his administration, President Barack Obama recently nominated a long-time telecommunications lobbyist—who has also donated and raised hundreds of thousands of dollars for his campaigns—to serve as the next chair of the Federal Communications Commission (FCC), the independent federal agency that plays the principle role in regulating the telecom industry. If confirmed by Senate as expected, Tom Wheeler would succeed Julius Genachowski, also a big Obama donor and bundler, who has been FCC Chair since 2009. Starting his career at the Grocery Manufacturers Association, Wheeler joined the National Cable Television Association (NCTA) in 1976, and was its president (and hence chief lobbyist) from 1979 to 1984. After working as CEO of several technology start-ups, he became the CEO and president of the Cellular Telecommunications & Internet Association (CTIA), from June 1992 to November 2003. Since September 2004, Wheeler has been an executive at the Washington, D.C.-based firm Core Capital Partners, which manages about $350 million in assets. Wheeler became a political supporter of Barack Obama at the beginning of his 2008 presidential run, serving on his exploratory committee and National Finance Committee. In addition to personally donating up to the legal limit, Wheeler also raised money from others—called bundling—for Obama, to the tune of more than $700,000, and even temporarily relocated to Iowa to campaign for Obama. Wheeler also campaigned in Ohio, Pennsylvania, and Indiana. After the election, Obama chose Wheeler to lead the transition team’s review of the science, technology, space, and arts agencies. At the time, Wheeler stated publicly that he did not want an administration job. Appointed by Presidents Bill Clinton and Geroge W. Bush, Wheeler served as a trustee of the John F. Kennedy Center for the Performing Arts for 12 years. He is the former chairman of the Foundation for the National Archives, and board member of the Public Broadcasting Service (PBS). He serves and has served on the boards of numerous corporations, especially in the telecom field. Wheeler wrote Take Command: Leadership Lessons of the Civil War (Doubleday, 2000) and Mr. Lincoln's T-Mails: The Untold Story of How Abraham Lincoln Used the Telegraph to Win the Civil War (HarperCollins, 2006). Tom Wheeler is married to Carol Wheeler.